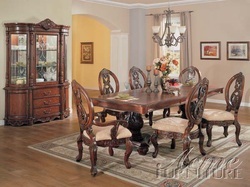 he Versailles Collection is formal dining at its best with traditional old world detail and elaborate carvings perfect for any grand dining room. Your family and guests will delight in the rich finish, comfortable seating and plenty of space for holidays and celebrations. 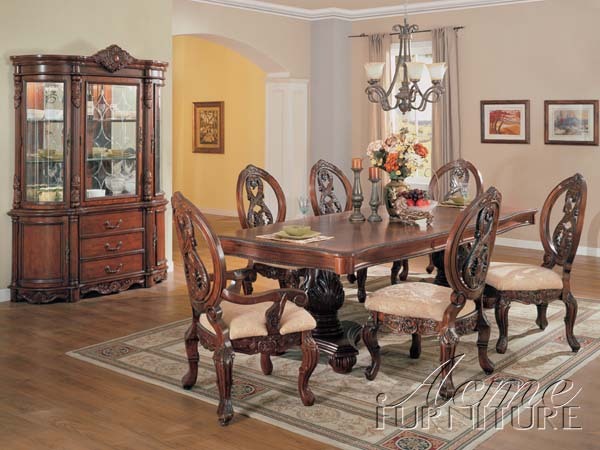 Each piece is made from finely crafted birch in a warm finish that highlights fine English carvings with a rich antique look and feel.